Sony Xperia XZ is running on Android OS, v6.0.1 (Marshmallow) upgrade to v7.0, 5.2 Inch 3GB RAM and 32/64 GB internal storage 23MP Primary Camera and 13 MP secondary camera with the chipset of Qualcomm MSM8996 Snapdragon 820, Good news Twrp recovery has been ported for the device. This TWRP Recovery tutorial is only for unlocked Sony Xperia XZ. Please don’t try this on any other variants of the phone. Sony Sync should be installed with full working ADB/Fastboot before performing the tutorial. 1 – Make sure ADB and Fastboot are configured on your PC. How? See here: How to Set Up ADB and Fastboot with Android SDK. This is important! 2 – Connect Sony Xperia XZ to your PC with a USB cable and install ADB drivers. 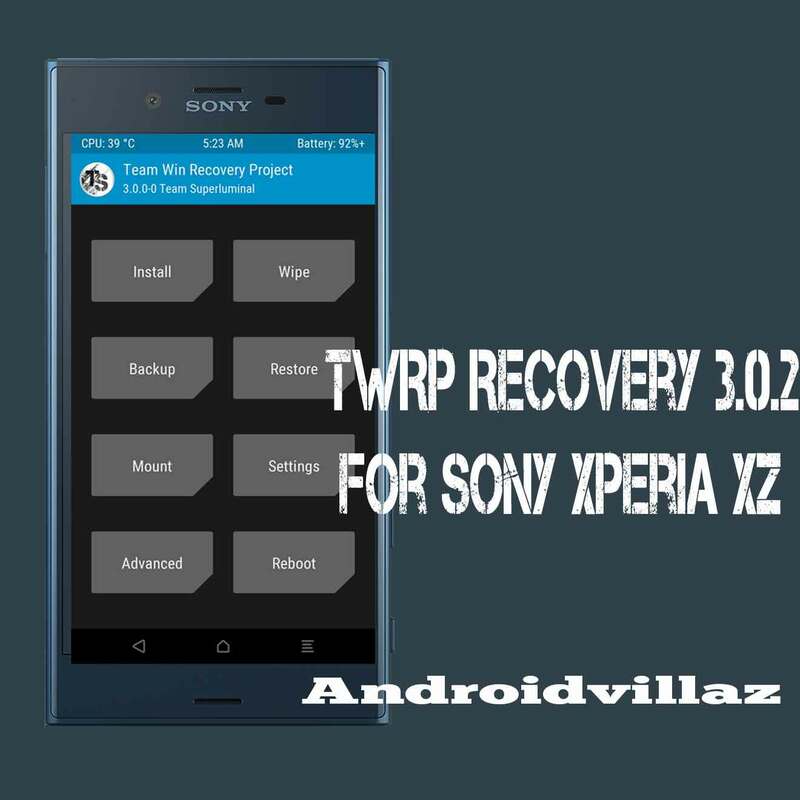 3 – Download TWRP Recovery Sony Xperia Xzand copy/paste it in the android-sdk-windowsplatform-tools directory. 4 – Go to Fastboot/Bootloader mode now. How? Navigate to android-sdk-windowsplatform-tools directory and open Command Prompt (Shift + Right-click > Open Command Prompt). 5 – Type in the following command and press Enter. 6 – Sony Xperia XZ will switch OFF and then boot into the Fastboot Mode. Once the drivers are installed, proceed below. NOTE: Alternatively, you can also enter Fastboot Mode by switching OFF your phone first. Then turn it ON by holding Volume Down + Power buttons together. 7 – Then type the following command and press Enter. 8 – Once completed, choose RECOVERY from the Fastboot menu and enter Recovery Mode. Navigate up and down using the volume keys. 9 – If you see TWRP Recovery, then everything so far has been successfully performed and custom recovery is installed. 10 – Since everything is going on well, you can go back to your normal phone by rebooting Sony Xperia XZ. Select “reboot system now” from the recovery menu. The phone will boot now.